Consider for a moment many of the consumer items that we purchase during our life. For things like a new pair of shoes or piece of clothing, most of us would instinctively want to try them on to make sure they fit and feel comfortable. If we were looking at a new car, we would go out for a test drive to see if the vehicle’s handling and performance met our expectations. New homebuyers typically inspect and tour the house several times before making an offer, and many would take measurements of certain rooms and door openings to confirm that their furniture could be accommodated in the available space. 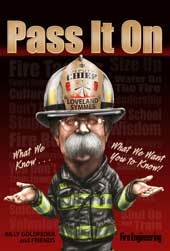 All of these sound pretty straightforward and simple, yet each year we hear about fire departments acquiring units that do not fit into their stations’ apparatus bays as well as about accidents caused by overweight vehicles. No doubt that the size of our apparatus has gotten wider, longer and heavier over the years due to several factors. Four-door cabs with enclosed seating, wider pump panels with foam systems and rescue-style, full-depth body compartments have all had an impact on the vehicles size and in service weight. Additionally, engine emission standards required all manufacturers to redesign their custom cabs to accommodate larger cooling packages and exhaust after treatment components, all of which impact the space available for personnel and interior equipment storage. 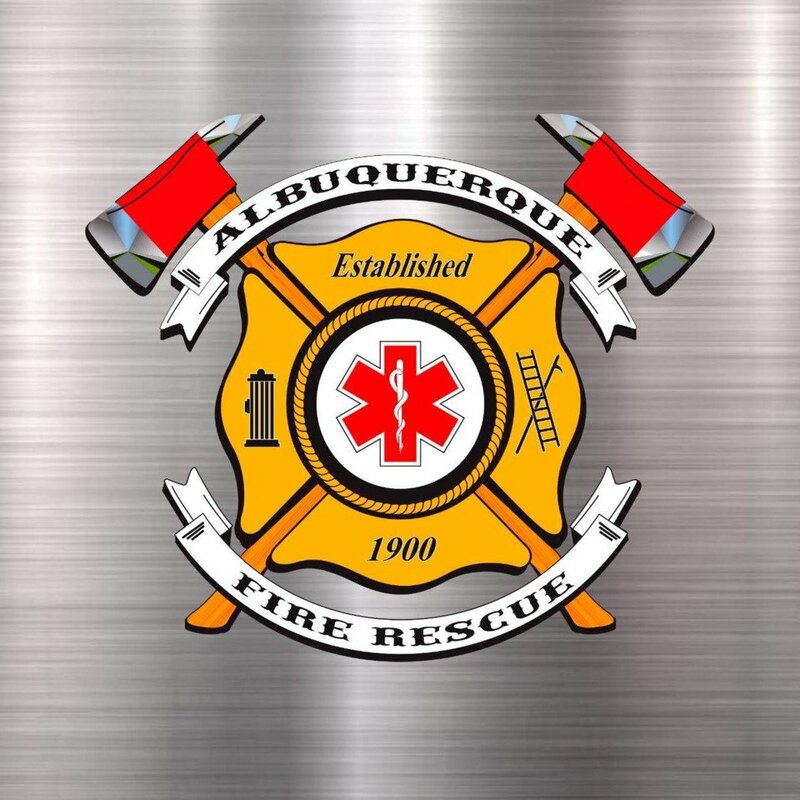 A visit to any local fire apparatus and equipment show may reinforce the notation that a moderate wheelbase engine outfitted with a rescue/engine body, 1,000-gallon water tank, generator, light tower and the latest foam system technology will work for your department. But just because the apparatus will fit into the available space in the station does not mean that it will perform well within the response district. 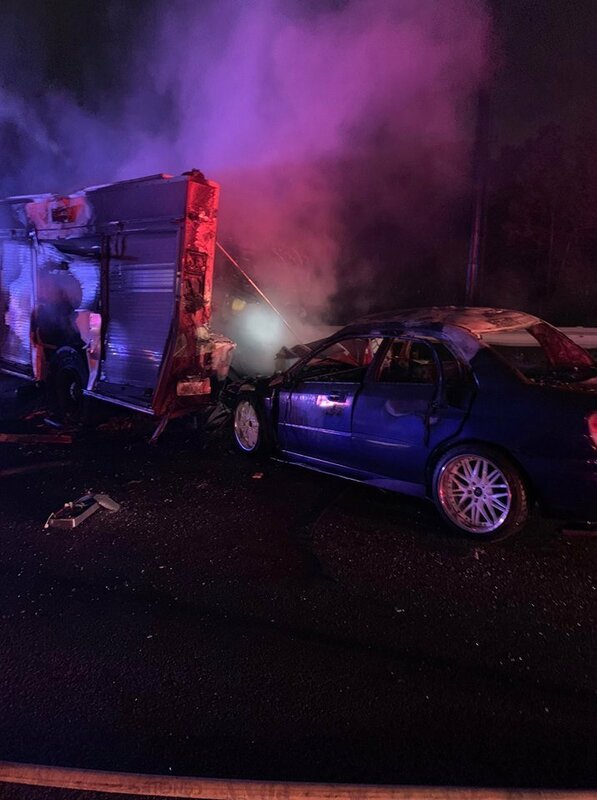 An increasing number of apparatus accidents are caused by oversized units that, while meeting all requirements of NFPA 1901 standards, display performance that is compromised by its weight and size, as well as the driver’s ability to operate the unit under all road and weather conditions. 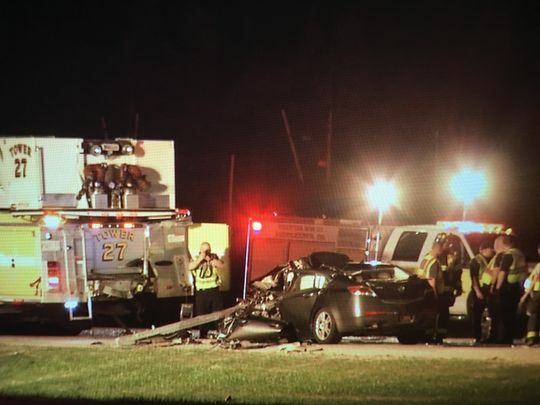 Apparatus safety and performance should be at the forefront of any discussions regarding the vehicle’s overall design. When considering a new apparatus, particularly a combination unit like a rescue/engine or quint, the committee should have similar size and weight apparatus brought to the community to validate the vehicle’s capabilities. The committee should identify five places where each unit should be taken as part of the validating process. This should include station bay space, maneuverability within streets, cul-de-sacs, bridges and complexes with access concerns. 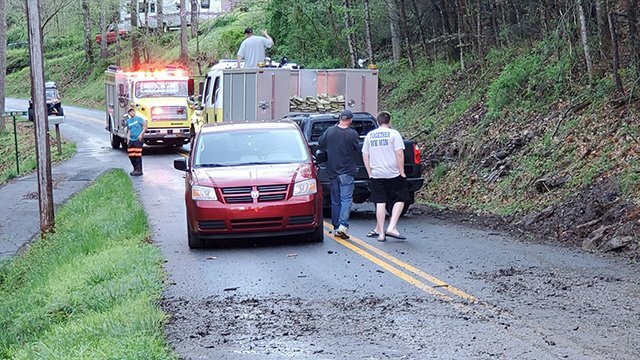 Many communities have adopted minimum building setback requirements, including green space landscaping that impacts apparatus positioning and often limits access to more than one side of the structure. Above all, the apparatus must be designed to meet the department’s mission and provide the required years of reliable front-line service. Fire apparatus acquisition and fleet replacement need to be a deliberate process and one that is planned out in advance. 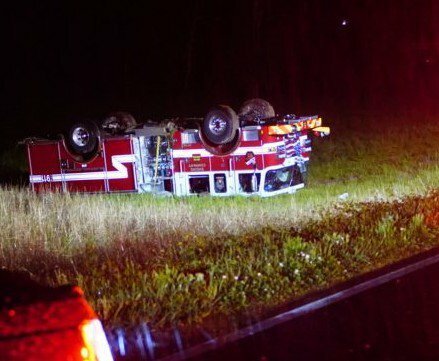 Unfortunately, many departments find themselves operating with an aged fleet with reliance on spare or reserve apparatus to provide fire and emergency services. The complexity of chassis electrical systems along with other components all have an impact on preventive maintenance and inspection costs over the vehicle’s life cycle. 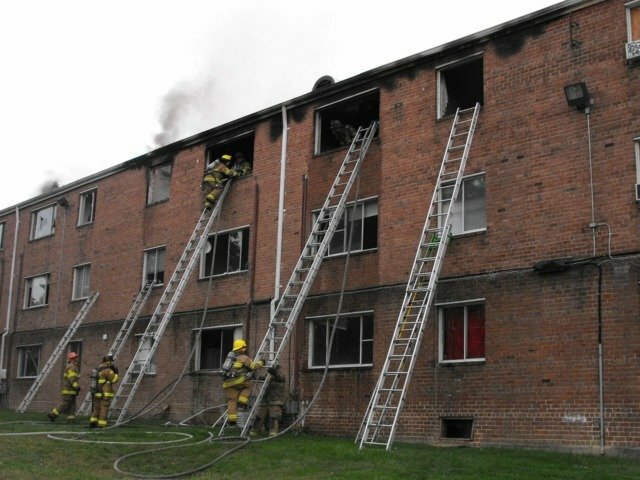 Maintenance access and components with a strong track record of performance should receive consideration when developing new apparatus specifications. Several departments have recently placed new apparatus into service to specifically meet their needs with consideration to size, hose and equipment storage as well as operational considerations within their response district. Let’s consider each. The Laurel Volunteer Rescue Squad operates as Station 49 in Prince George’s County, MD, with a rescue engine, water and heavy rescue units along with three ambulances and support units. The station responds to more than 7,000 incidents each year and recently placed into service their first pumper to serve the community. 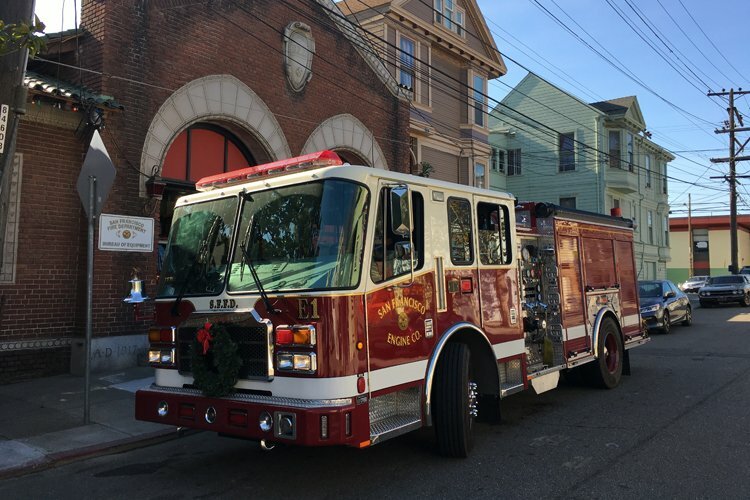 Engine 849 is a 2016 Pierce Enforcer pumper designed to operate in an urban environment with numerous apartment and townhouse complexes and major highways, including Interstate 95, Route 1 and the Baltimore-Washington Parkway. The apparatus was constructed with a stainless-steel body, low side compartments on the right side to accommodate ground ladders and standpipe hose tray. The engine was built with a 172.5-inch wheelbase and overall length of just 29 feet. It is equipped with a 2,000-gpm pump, 500-gallon water tank with three rear 2½-inch discharges and low hosebed. Engine 849 is also equipped with a 25-gallon foam cell and Class A foam system, front intake, trash line and two crosslay hosebeds. Dual large-diameter discharges were plumbed to the right side panel to enable the engine to deliver big water when required, while maintaining a short wheelbase, maneuverable vehicle with seating for six personnel. The Point Breeze Fire Department is one of nine volunteer companies operating within New York City and has been serving the Rockaway peninsula in Queens since 1910. This area developed as a beachfront community, and over the years, most wood-frame dwellings evolved into full-time residences with structures accessible via sand roadways or the beach. The narrow roadways and closely spaced buildings present a unique fire hazard with approximately 9,000 residents and a location that’s being susceptible to flooding and damage from hurricanes. The area was devastated by Hurricane Sandy in October 2012, with the department’s station and apparatus being damaged due to flood waters. 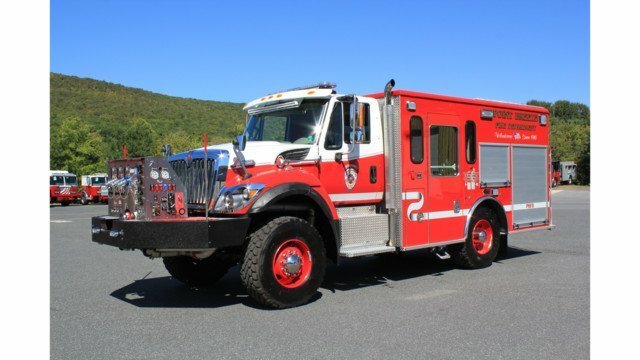 Point Breeze recently took delivery of a new four-wheel drive pumper with many unique features. With an overall length of 27 feet, 6 inches, the engine was built by KME using an International 7400 four-wheel drive chassis with wide profile single tires on a 163-inch wheelbase. 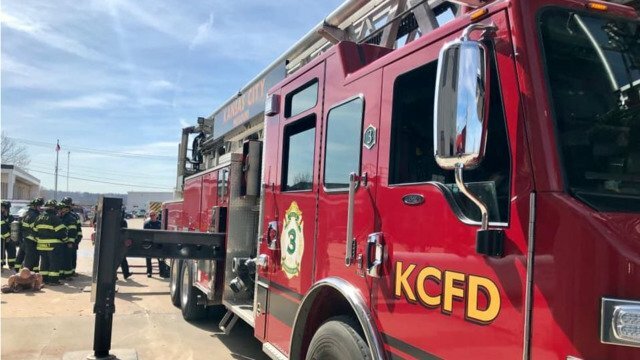 Due to fire station door clearance, the overall height of the vehicle is 115 inches, which includes a sliding hosebed cover and retractable deck gun. 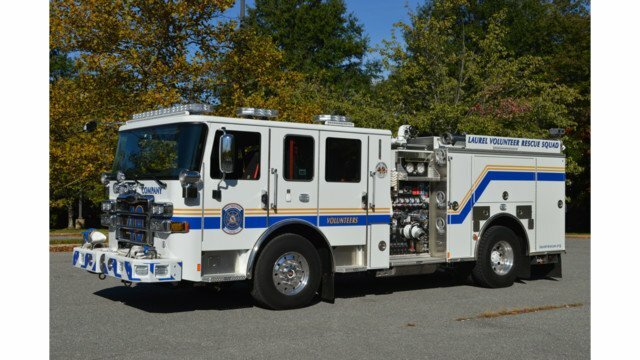 While front-mount pumps are rare, this unit is the sixth front-mount pumper operated by the department, and it is outfitted with a Darley model LSF 1,000-gpm pump with ready access to drafting locations. The aluminum body incorporates seating for four personnel, a hosebed and a 200-gallon water tank, and it carries a 30-foot extension ladder that is required to reach the upper stories of homes after rebuilding due to storm surge. The batteries and other electrical components were located in the body, with the fuel tank and rear-axle vent lines placed in raised locations to reduce damage due to high water conditions. 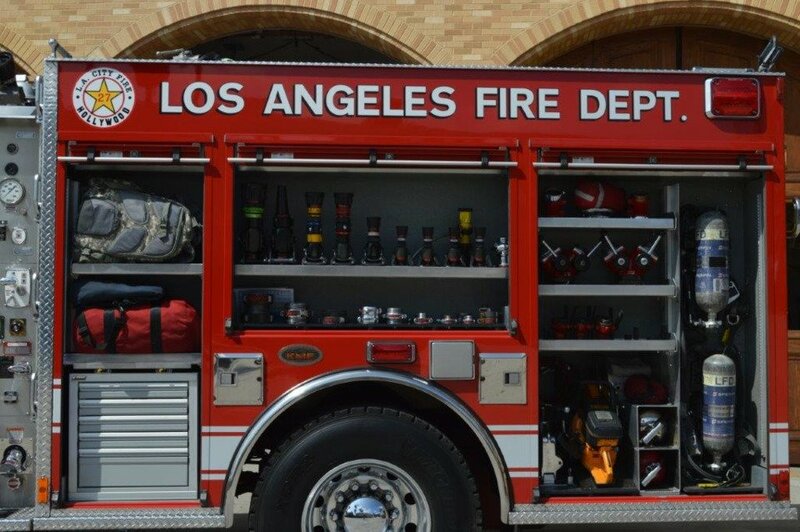 The body compartments carry an assortment of engine company equipment while keeping a low-profile apparatus with safe access to the cab and rear crew seating area. There were many challenges to designing this apparatus to dimensionally fit the fire station as well as being able to negotiate the narrow roadways within the community. 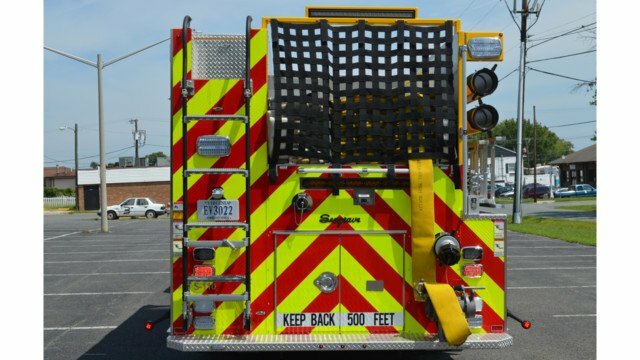 The Prince William County, VA, Fire Department several years ago adopted a countywide standard specification for engine company apparatus. The goal was to develop a uniform pump panel and body design that would still permit each volunteer company to determine the manufacturer and model of the custom four-door chassis. 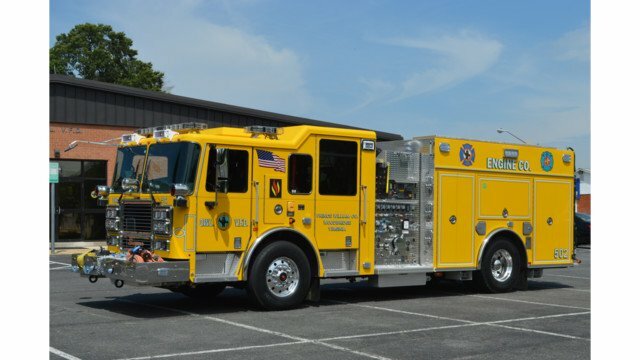 Several of the standard pumper configurations have been placed into service, with the Occoquan-Woodbridge-Lorton (OWL) Fire Department taking delivery of three Seagrave Marauder II model pumpers. Each of these units was constructed with stainless-steel cabs and bodies, built with a 194½-inch wheelbase and an overall length of 31 feet, 10 inches. 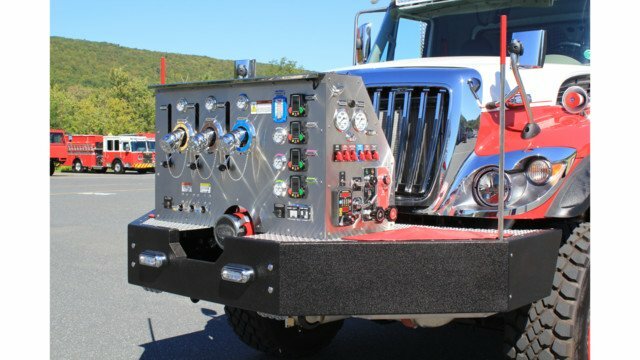 The fire pump module, built by Hale, is rated at 1,500 gpm and supplies a front trash line, three crosslay hosebeds as well as a two hose body and one rear discharge for use with the 3-inch hosebed for extended back stretches. The engines are equipped with a 750-gallon water tank and twin 40-gallon foam cells. Safe access to the hosebed area is accomplished with a pool-style ladder with non-slip surfaces. Each of these engine company units had specific design characteristics that enabled the fire department to acquire apparatus that would meet the needs of their response districts while maintaining a short wheelbase with safety components that would enhance the operational efficiency of their personnel. 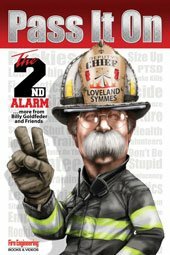 When reviewing and evaluating apparatus designs, think beyond the 11 x 17 blueprint and remember that size does matter.